Lucy Campbell is thrilled Zane Phillips finally sees her as more than his friend's little sister. Until she gets pregnant! Refusing to trap him into marriage, she rejects his proposal. But Zane is beginning to realize he just might want everything Lucy has to offer after all. Sawyer Middleton swore he would never return to his hometown, but when a family emergency forces his hand, he meets Jessica Calhoun, an intriguing teacher who has forever written all over her. Will this free-wheeling city boy give up his fast-paced life in the face of love? 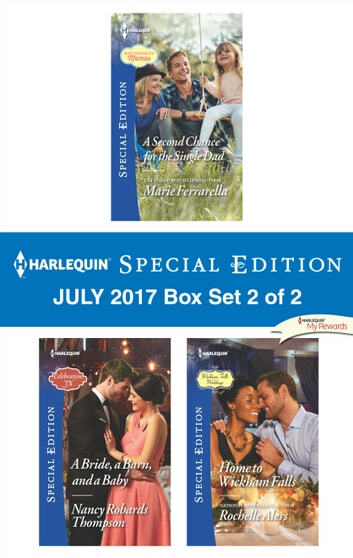 Look for Harlequin Special Edition's July 2017 Box set 2 of 2, filled with even more stories of life, love and family!